Can't choose between stripes or spots? This pure cotton set has them both and we added a fluttery appliqué design made up of colourful flowers to bring a little 'ta-dah' to playdates. 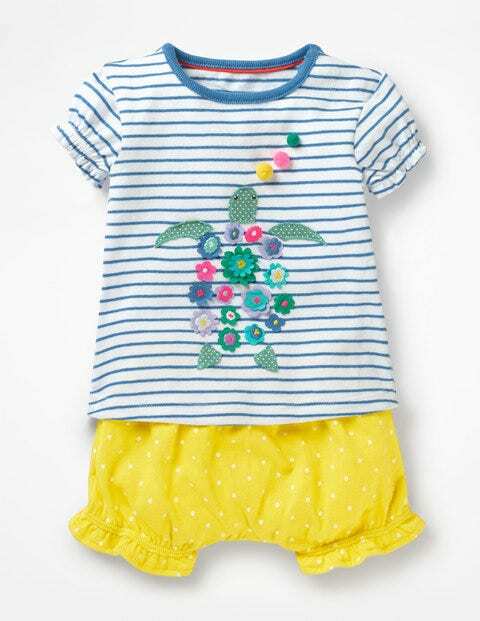 Polka dot bottoms combine with a Breton-style top, with a choice of a turtle or an apple. There are handy poppers on the shoulder to make for quick changes.